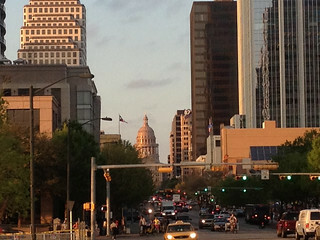 Posted on March 21, 2012 by Greg C.
“Just when you are out, they pull you back in.” Â And so goes my experience at SXSW this year. Â After saying I was going to give SXSW one last chance, the conference totally redeemed itself. Â I think a big part of my change in tune was knowing how commercialized the conference became in 2010, which was a disappointment back then. The best panel this year was about the work NASA’s Jet Propulsion Labs was doing to monitor near Earth orbit objects like asteroids and comets. Amazing data science work goes into predicting when these objects may hit us and which ones need to be classified as truly dangerous. They also spent time debunking that the Earth will not end in 2012 as the Mayan calendar predicts. I did not get to as many movie panels as I’d like but my favorite was the Seth MacFarlane talk where he analyzed and compared Family Guy clips as well as introduced the world to his new movie “Ted.” Mark Wahlberg also made a surprise appearance. You can’t go to Austin and not have BBQ. This year Stubb’s takes the award. How could it be anything but Jay-Z? 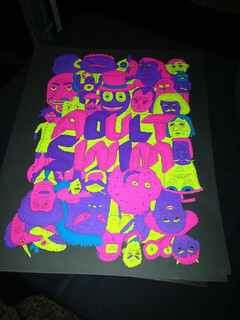 The guys at Adult Swim came up with a great looking poster that they gave out at the Turner tent. 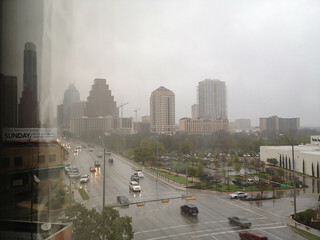 Never in 9 years have I seen weather worse than I did Friday and Saturday in Austin. The half mile walk I had from my hotel to the convention center was brutal, especially on Friday. The registration line for SXSW on Friday was 90 to 120 minutes long. For a technology conference you would think we could have some forward thinking ideas about how to make registration faster, but here we are 6 years later still filling out green index cards to pick up our badges. Unless you were sponsoring, speaking or knew someone at SXSW you were not getting a hotel room within a few block radius of the convention center. Sure you could have picked up a room at the Hampton Inn one week before the conference for $1700 a night, but most people were resigned to long walks or cab rides. One set of friends decided to stay in San Antonio and drive in each day figuring the party scene at Riverwalk was going to be just as good. After leaving woefully disappointed in 2010 at the complete sell out of the conference organizers to the sponsors, SXSW totally redeemed itself in 2012. Yes, the sponsors were still there, but knowing this going in made the event that much better. The best part of these sponsored events, not having to pay for food or drinks the entire weekend. Thank you to all the sponsors out there! 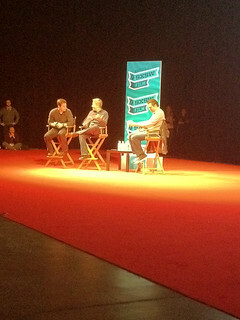 And with that, SXSW goes back on my list as a must attend event. I can’t wait to get back to Austin in 2013, though my hotel room is getting reserved as early as possible this year. This entry was posted in SXSW and tagged Austin, SXSW, sxswi, Texas by Greg C.. Bookmark the permalink.